This vendors/manufacturers section of RF Wireless World provides list of RF Jammer manufacturers and RF Jammer vendors in UK, USA, CHINA etc. The RF device used to disrupt or jam the radio frequency output of a microwave tower or cellular tower is known as RF jammer. It is used at the border areas so that enemies do not tap the vital information from the mobile telephone network or any other wireless system operating in the region. It is also used in worship places such as mosques, churches and other congregation centers. The figure-1 depicts concepts used in the RF jammer design. Following characteristics are the part of the RF jammer. • The frequency of the RF jammer should be same as frequency to be jammed (of transmitting station). • The power of jammer should be greater than transmitting station. 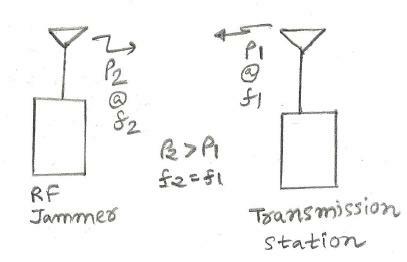 • The modulation techniques should be same as used by transmitting station. This gives same instantaneous power spectrum for both. Refer RF Jammer basics>> for more information. Following table lists popular manufacturers or vendors of RF Jammer.